With a wider hull than its predecessor, there's plenty of space of this new model, which is aimed squarely at the charter market. 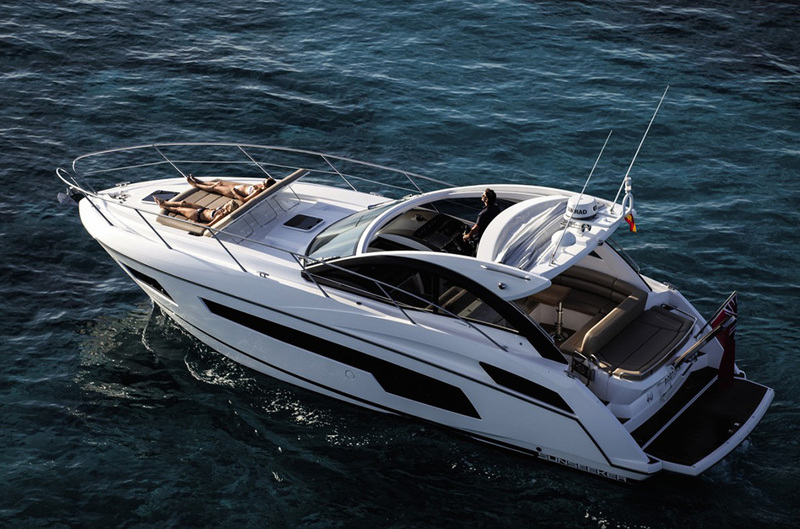 The Sunseeker 76 Yacht supersedes the Sunseeker 75 Yacht, of which there were 50 built in two and a half years. It's not hard to see why the formula has proved so popular. What Sunseeker has done is make the whole aft deck area into a place that's near the water, so you've got a pop up shower, you've got a grill, seats, and access to the crew quarters and the engine room. The engine room is huge. 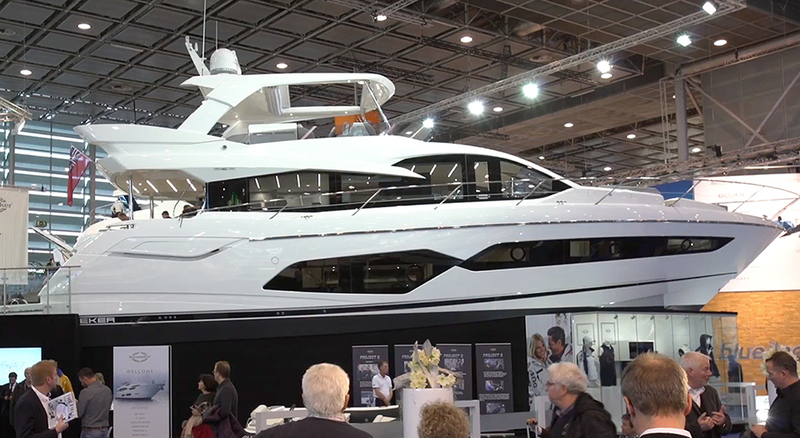 There's lots of headroom and power comes from a pair of 1550 V12 MAN diesels on shafts and Sunseeker says they should give a top speed of over 30 knots. The Sunseeker 76 Yacht is all about chillaxing and enjoying the social environment it's actually been aimed quite squarely at the charter market. They've pushed the width out to give this lovely sociable dining area with a galley and you can chat easily to the helmsman. The owner's suite runs full width across this slightly widened hull, key point here is there are huge windows either side giving lovely sea views. There are three other cabins - there's an island berth forwards and there are two guest cabins on either side. 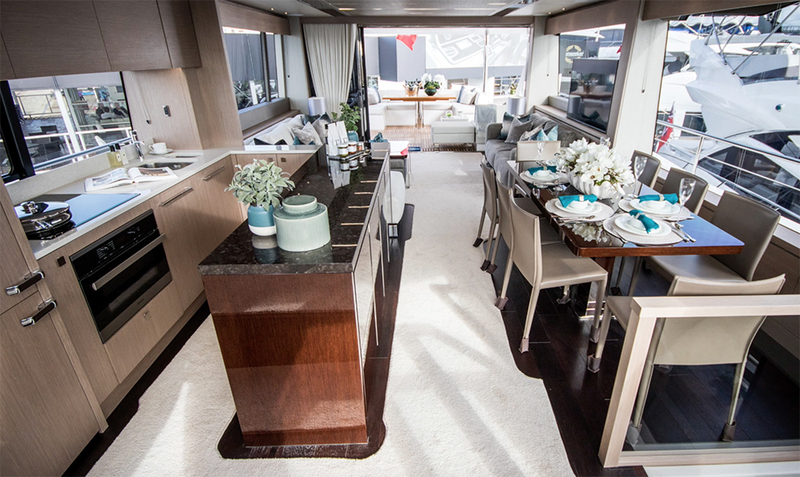 The sociable charter theme carries on up on the flybridge deck, which is huge. There is a vast area of teak, there's dining room, a galley and of course all the helm controls are repeated. However, this boat's real crowning glory lies in the lovely sun lounging area on the foredeck, which comes from a much larger model, but thanks to the 76's extra width, they've been able to fit it on this boat. 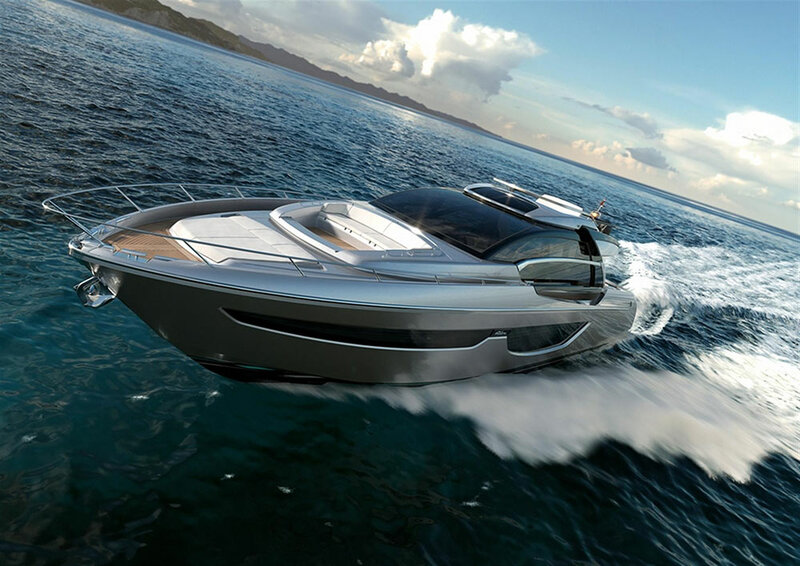 So for £3.5 million, as seen in our video, this boat could be yours. If Sunseeker as a brand sparks your interest, read 10 top Sunseeker yachts, or see all Sunseekers for sale on boats.com. 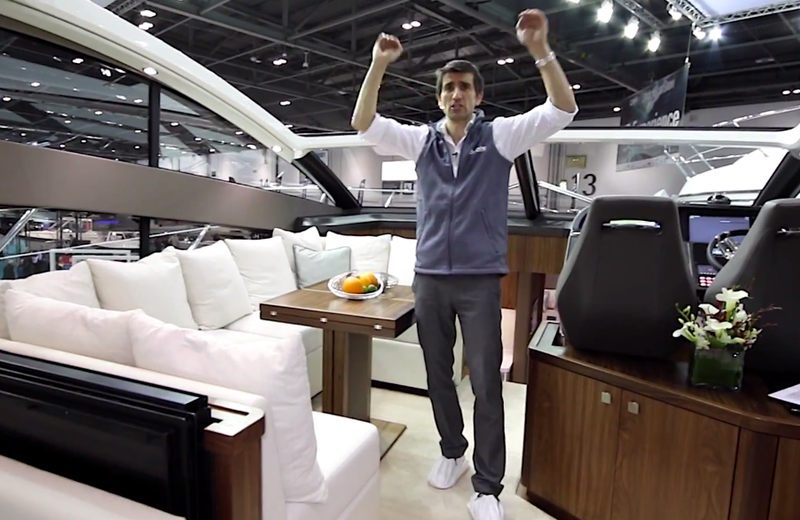 The interior of the Sunseeker 76 Yacht is all about chillaxing.